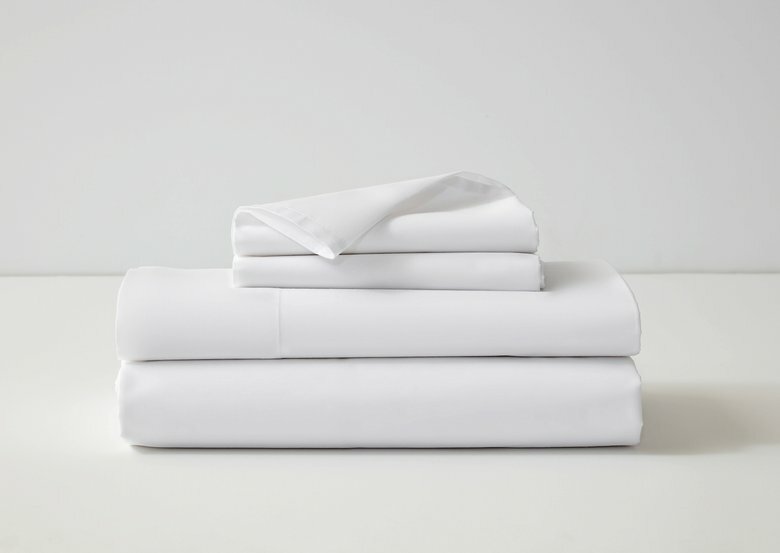 We know Casper for their #1 Consumer Reports rated mattress but they have a bigger dream in mind than just selling beds. They are coming up with new tech to help you sleep and Casper Glow nightlight is their first sleep tech product. Sleep research and marketing has always been at the front of what Casper does, but unlike Eight or other high tech solutions, Casper keeps their tech simple. They use the data they gather from customer research to develop elegant products that do a few things very well. The company Airbnb’d a big Victorian house in San Francisco to conduct sleep experiments to see how technology could help improve sleep. Just like the sun gradually gets dim or lighter when it’s time to sleep or wake up, we’re affected by light. This is a process that triggers reactions like the release of melatonin to signal it’s time to fall asleep. This video shows you how Glow works. The new Casper Glow does more than just glow, yet it also draws a line at not being fussy or complex. Glow won’t track your sleep, record your snoring or give you any data. It doesn’t connect to your Alexa or anything really. Rather it aims to help you fall asleep and wake up. Put simply, the Glow gradually dims at night to help you fall asleep, and then gradually gets brighter when it’s time to wake up. It has sensors that react to the light in the room. Light is key to sleep and Glow helps you set the light in your room. I already have a Phillips Hue light in my room that I can dim or brighten without having to wire anything. I like that you can set and forget it or use the manual controls. Glow is small and cordless. It’s a little like a lantern that you can take with you when you get up to go to the bathroom or check on the kids (something you can’t do with your lamp). For me, I’d set the light to fade up until bedtime as a signal that it’s time to turn everything off, stop talking and go to sleep. In the morning, the sun usually wakes me up but during the darker winter months it could gently wake you. Set Glow between 15 minutes and 1.5 hours through the app, or use the simple actions to operate it without the app. In fact, you touch or rotate Glow to dim or brighten the light or use the app to turn it on/off. I’d use the Glow on vacations because it’s lightweight, easy to carry and doesn’t take up a lot of space. At just over 5 inches tall it fits in your hand but a handle to make bringing it places easier. I’d take Glow camping and yes, put one on my nightstand for its minimalistic design and the quality of the light. For kids, the selling point is how you don’t have to read anything, press any buttons or do anything confusing. Operate it with touch – simple! 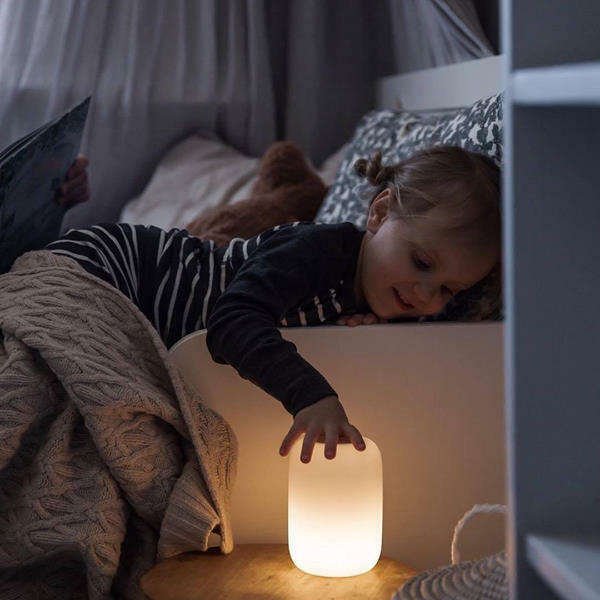 It could make an effective gentle alarm clock if your kids wake up with light. Older adults who have trouble reading at night or operating buttons or grasping something small could operate the Glow intuitively. If space is limited or you like an uncluttered bedroom, it will fit on a small nightstand. The Casper Glow costs $89 for a single light, $169 for a pair. The price may seem a bit steep, but it doesn’t seem to deter customers. If you’re interested in buying one, hurry because the website says they’re almost out of stock. You have up to 30 days to try Glow and it has a 6-month limited warranty. At the Vegas furniture show a few years ago, I was wowed by Reverie’s display that had speakers built into the headboard that can only be heard by you. Casper is working on something with music/sound. Besides light, temperature is another big factor in sleep. What do you think of Casper Glow?